Police in Colorado were called to respond to what they thought was a home invasion. They were surprised to find a cow moose instead. BRECKENRIDGE, Colo. — It's Colorado, and that means you might just be sound asleep in your bed, get awoken to the sound of a window breaking -- and later learn a moose entered your basement. That was the case for one homeowner, who called police Friday morning after a child in the home heard glass breaking and a loud entrance through a window. Colorado Parks & Wildlife (CPW) said Breckenridge Police responded, and were surprised when the suspected home invasion turned out instead to be an adult cow moose. 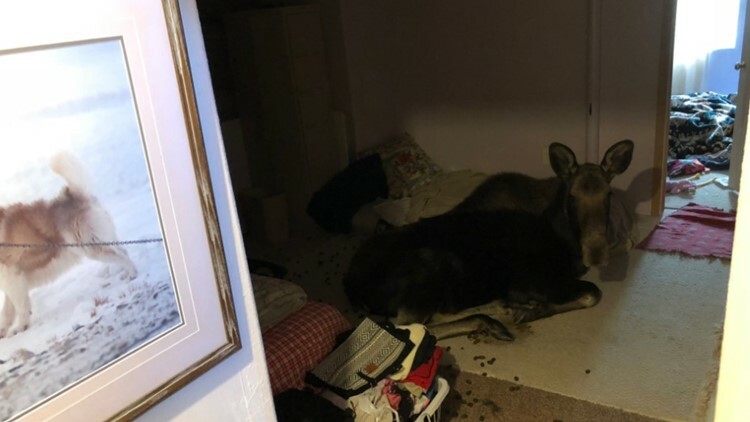 “It appeared that the moose had been walking around outside the house in deep snow when it fell into a window well, then crashed through the window into a basement bedroom,” said Elissa Slezak, CPW district wildlife manager. CPW tweeted it was then called in "to take the lead on getting this trespasser out of the basement and into more suitable - though maybe a bit less comfortable - habitat." CPW then tranquilized the moose, moved from the basement through a tight stairwell and taken to a waiting trailer, where the tranquilizer was then reversed. "After getting a quick glimpse of how the humans live, this moose will now be relocated to prime moose habitat in Grand County," CPW tweeted. "Window well covers are a great way to keep unexpected visitors away from (or out of) your home." Slezak added that both people inside the house also made it out without any major injuries. “Aside from the broken window, a few minor cuts and the initial shock to the homeowners, this situation went about as well as it could have,” Slezak said. This isn't the first time in recent memory Colorado residents have experienced some extreme encounters with wildlife. Last week, moose at Breckenridge Ski Resort ran through a storage area, scattering skiers before sauntering up a run. In February, 31-year-old Fort Collins resident Travis Kauffman fought off a mountain lion while trail running near Horsetooth Reservoir. 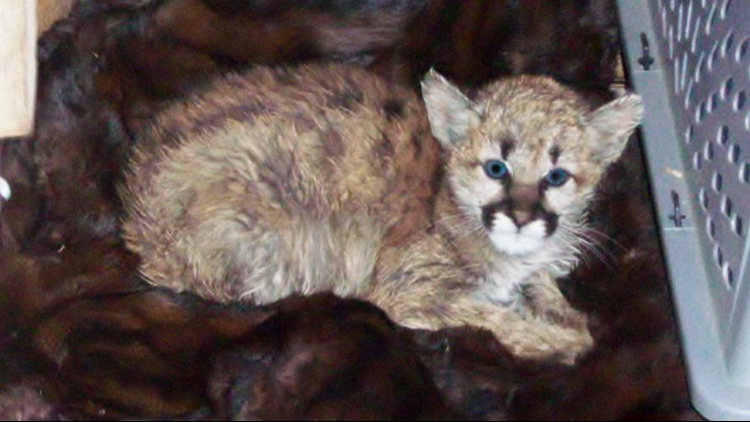 And in November, a person found an orphaned mountain lion kitten, took it inside to "thaw out" and fed it bratwurst -- all things CPW has said to never do. Last August, a mountain lion entered a Boulder home, got stuck inside and killed a house cat before CPW officers shepherded it out.